For anybody who likes the sound of singing birds, Spitsbergen isn’t really the place to be. 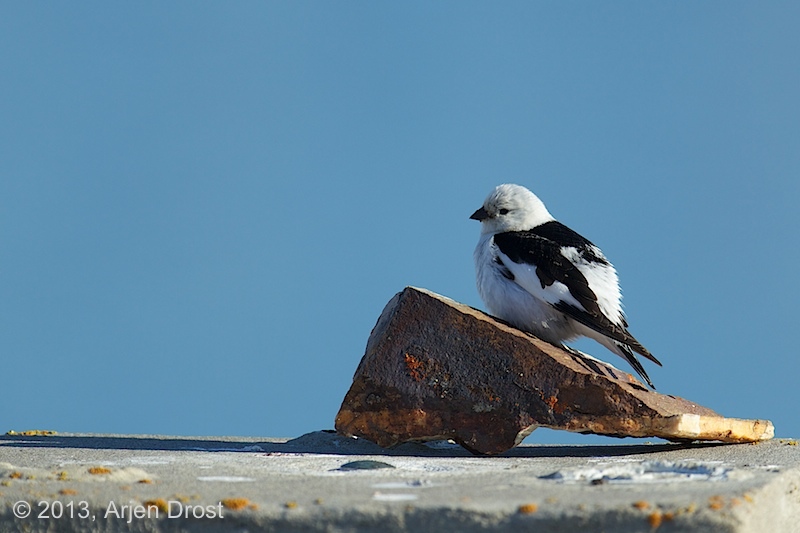 There is only one passerine species: the Snow Bunting. Somehow I never really got to take a good picture of one. While I was on guard watching out for Polar Bears I found this one sitting on a rock. After a quick scout for bears, I decided to take some time to come somewhat closer to the bird. I would prefer a bit more close up, but I’m still satisfied with this one. Beautiful shot. The rock makes an interesting perch and the sky is gorgeous. I laughed a little at your sentence about having to check for bears before you took the shot–I know I have never had to say that in my entire life.